Congratulate the graduate! 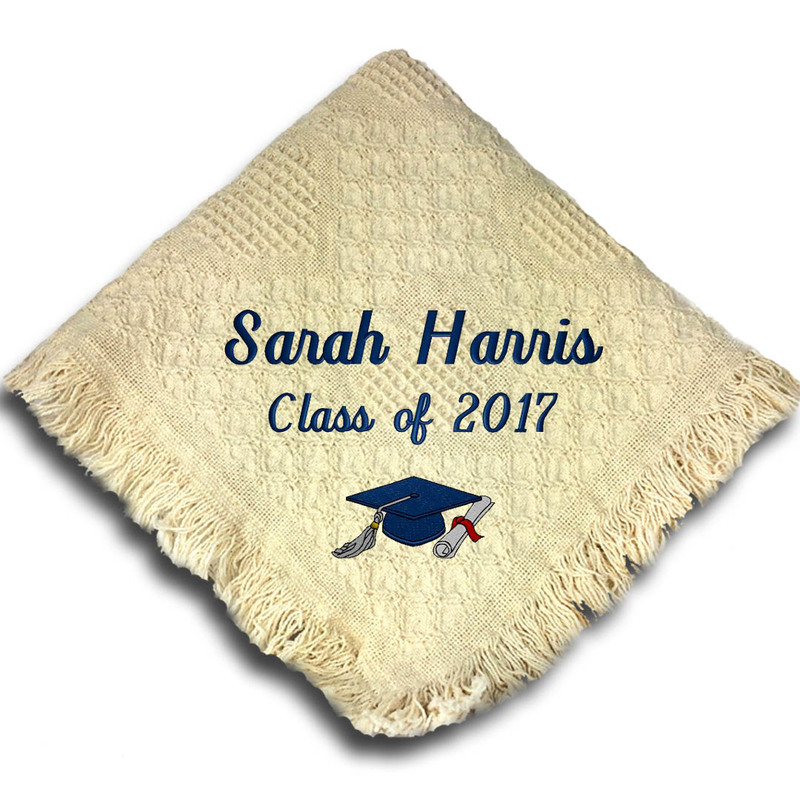 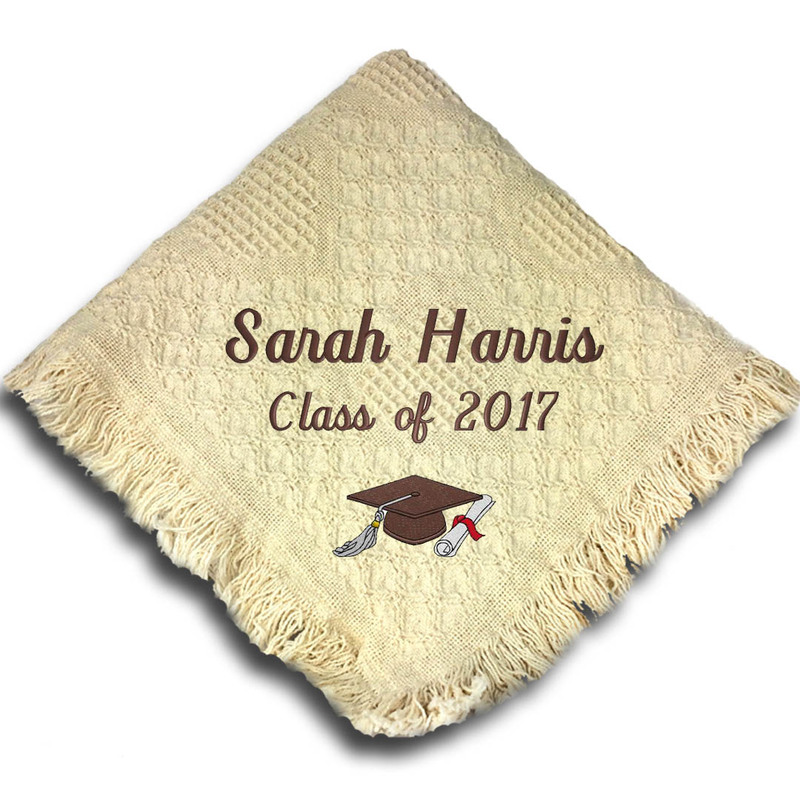 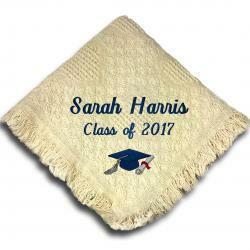 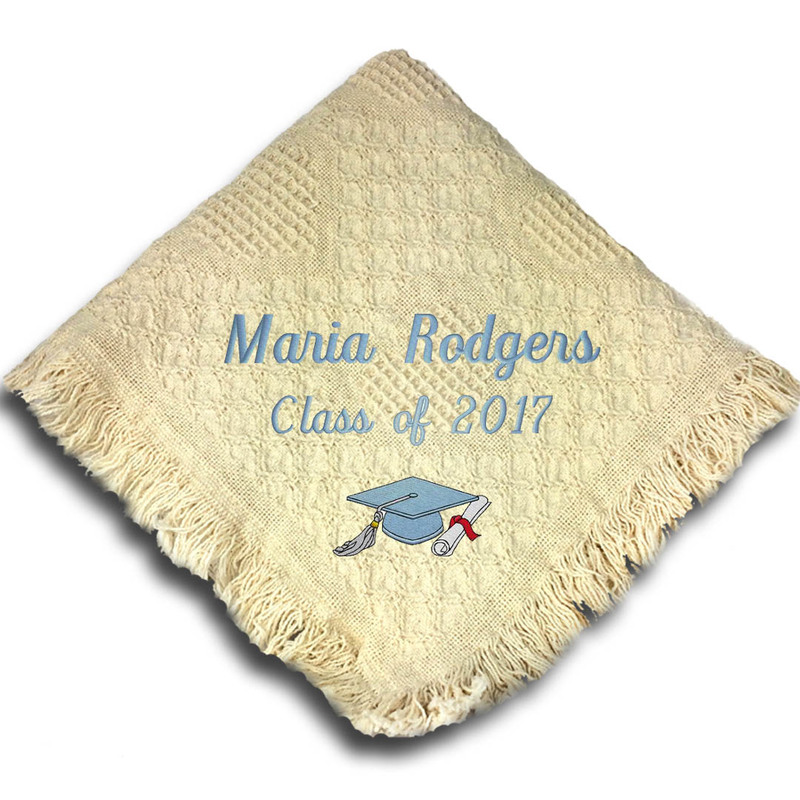 Commemorate that very special milestone in their life - give them our Personalized Graduation Throw. Perfect for a bedroom or dorm room, our Personalized Graduation Throw makes a wonderful reminder of their great accomplishment! 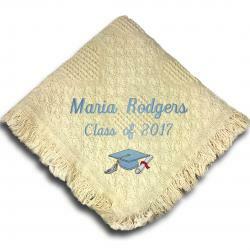 Natural color 100% cotton throw can be embroidered in their school color.